[Discussion] Water Damage! 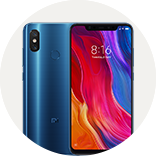 Can Mi 8 survive ? [Tips] Prone to Amoled burn ?